Stress, Cortisol and the use of Adaptogenic Herbs. Stress is the root of most health conditions including weight gain, Diabetes, hypertension, adrenal insufficiency, heart disease and thyroid disease. Chronic stress over time produces inflammation and imbalances in hormones (specifically cortisol) resulting in, very low energy, weight gain, disease and reduced quality of life. 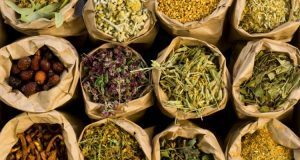 Traditionally we are prescribed a pharmaceutical drug to help with the symptoms and sometimes this is necessary, but there are natural herbal remedies to help with stress related disease and or symptoms, these herbs are classified as adaptogens. Adaptogens are defined as a unique class of healing plants: They help balance, restore and protect the body. Adaptogens do not have specific actions, they helps and adapt to your body by responding uniquely to any influence or stressor, aiding in normalizing your physiological functions. Adaptogens are specifically known to work with the adrenal glands and recharge them as needed. Adrenal disease is classified in many stages, it is important to know health professionals have different names for these stages but symptoms are similar. Adrenal Resistance- the body is producing excessive cortiosl and the body may start to gain weight around the midsection and usually poor quality sleep is reported. This is also known as the “party before the storm,” individuals can still function normally but they do not realize that hormones are being depleted and they are living in a major state of inflammation daily, increasing risk for health problems and chronic disease. Adrenal Fatigue- The anti-aging hormone DHEA-s has been depleted, cortisol patterns are not normal, they may be spiking at night resulting in sleep patterns that are even further disturbed. Typically individuals during this stage have trouble falling asleep at night and hard time waking in the morning. The body is craving short-term energy from sugar and caffeine due to its constant state of low-grade inflammation. At this point it may be hard to lose weight and to stick to a fitness regimen. Adrenal Failure- the body is no longer producing high levels of cortisol, all of the symptoms of adrenal fatigue are worse and it is hard to complete normal tasks of daily living. This stage can be brought on quickly if there was a trauma (sudden death, accident, etc.) or over a long period of time if chronic stress was present. The good news about adrenal issues is over time they can be cured with lifestyle, nutrition and stress management techniques. Natural and integrative health professionals specialize in treating adrenal fatigue. It is best to get labs done to determine what stage of adrenal disease you are in. This way your doctor can give you a precise plan of action for herbs, exercise and nutrition. Exercise is typically tapered back; this is hard for individuals who use exercise for stress relief. It is best to do mindful exercise like Thai Chi, Yoga, Pilates in addition to short bouts of strength training and interval cardiovascular training. Long distance endurance workouts are not recommended because it will further stress the adrenals. Nutrition will also reduce symptoms of adrenal disease. Eliminating sugar, caffeine, processed foods, and inflammatory high allergy foods like gluten, dairy, corn, and soy will help the individual feel better. Supplementing with adaptogens recommended by your health care professional may include common adaptogens such as ashwaganda, astragalus, ginseng, licorice root, holy basil, some mushrooms and rhodiola. Listed below is a list of typical ingredients in high quality adrenal supplements. Ashwagandha Withania – an adaptogenic herb that nourishes and strengthens the body. Reduces fatigue and improves intestinal integrity. Rhodiola Rosea – Promotes energy metabolism. Supports cognitive function, memory and attention. Improves mental performance. Cordyceps – Supports immune function. Promotes kidney and lung function. Enhances endurance and stamina. Panax Ginseng – supports adrenal health in times of stress, fights fatigue and overcomes exhaustion. Promotes endurance and stamina by sparing carbohydrates. Siberian Ginseng – Helps the body respond to stress. Regulates adrenal hormone levels, namely corticosterone. Supports the immune system. Bladderwrack Extract – a natural source for Iodine, which supports healthy thyroid function. L-Tyrosine – works synergistically with iodine for the production of thyroid hormones. Elevates mood, reduces anxiety, headaches and allergies. Suppresses appetite and helps reduce body fat. L-Theanine is derived from a unique amino acid found in Green Tea. Demonstrated applications include: Improving Learning & Concentration, Heightened Mental Acuity, Supporting the Immune System, Reducing Stress & Anxiety, Reducing Caffeine’s Negative Effects, Alleviate PMS Symptoms in Women. Gymnema Sylvestre – Supports the pancreas and helps regulate healthy blood sugar levels. Promotes glucose uptake in the intestines. Fenugreek – Supports proper glycemic control and response. Promotes the feelings of satiety. Vitamin C – An important anti-stress vitamin, protector & detoxifier. Thiamine (B-1) – Plays an important role in converting glucose to energy. Contributes to a healthy nervous system & mental attitude. Riboflavin (B-2) – Helps break down fat, carbohydrates and protein. Niacinamide (B-3) – Vital to a healthy nervous system. Helps break down fat, carbohydrate and protein. Vitamin B-6 – Facilitates the release of glycogen for energy. Folic Acid – Necessary for proper brain function, mental & emotional health. Vitamin B-12 – Supports adrenal glands & aids in the metabolism in nerve tissue. Pantothenic Acid – Stimulates the adrenal glands & increases production of hormones important for healthy nerves. Zinc – A component of insulin. Necessary for a strong immune system. Copper – Promotes healing and energy production. Selenium – A powerful antioxidant, which also supports thyroid function. Manganese – Necessary for glucose metabolism. Involved with energy production and the repair process. Chromium – Increases the effectiveness of insulin by properly regulating the uptake of glucose. Helps metabolize fat. Note: A Texas company, NatraTech, has developed a very good adaptogenic blend, called Adrenal Fuel™. Cycle your herbal supplements because your body can build up a small tolerance to them over time. Supplementing with adaptogens should be cycled on and off, I recommend your first round of adrenal adaptogens to be taken for 3 months and then take a 2 week break and start back up again. Once energy improves, weight loss begins (if needed), your sleep quality is better, than a long term option for your supplements can be 2 days on 1 day off. These recommendations can be made more specifically by your doctor/ health professional. Monitor all areas of the metabolism in addition to the adrenal issue including thyroid, insulin, cholesterol, and C-reactive protein. Adrenal disease is typically in conjunction with addition metabolic disturbances.